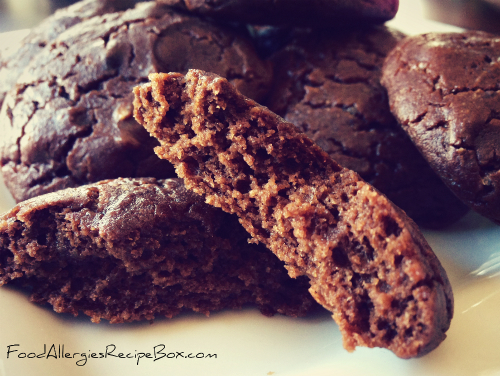 Your going to love this chocolate quinoa sunbutter cookies recipe it's absolutely delicious and will leave you wanting more!!! Did you know that quinoa has a complete amino acid profile? That makes this cookie recipe a great way to sneak in protein with a complete amino acid profile into your diet, at the same time you will be enjoying quick and easy tasty treat (in moderation of course, that is if you can help it). Additionally if you are looking gluten free recipes using a grain or flour that is gluten free you are looking in the right place as this ancient grain is gluten free! For this recipe I used Carob powder in replace of cocoa powder however always make sure to review ingredients to confirm that it does not contain your allergen or isn't at risk for cross contamination. When in doubt call the manufacture or leave it out of your diet. Sunbutter was also used for this dessert treat, however since seeds are becoming a more common allergen and this is butter is made from sunflower seeds, double check that you are not allergic to this seed! If you are allergic to this seed try an alternative like wow butter made from soy or another peanut butter alternative of your choice. In a medium sized bowl add flour, salt, baking powder and stir flour mixture until baking powder is thoroughly combined into flour. Add remaining dry ingredients and stir to combine. Next make a well in the middle of the flour mixture and add applesauce, sunbutter and vanilla. Slowly stir wet ingredients in the middle then start to combine into the dry flour mixture until it forms into a cookie dough texture. Line a cookie sheet with parchment paper and using a spoon scoop out tablespoon sized dollops of cookie dough and place onto baking sheet. Place into the oven and bake for 10-12 minutes until firm and a little spongy in the middle. 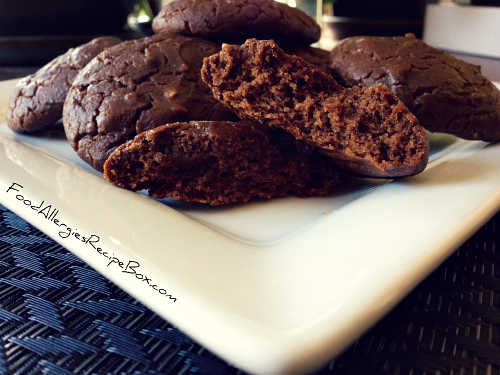 Allow to cool then enjoy this delicious carob sunbutter cookie treat! Return From Quinoa Sunbutter Cookies to Food Allergies Recipe box!